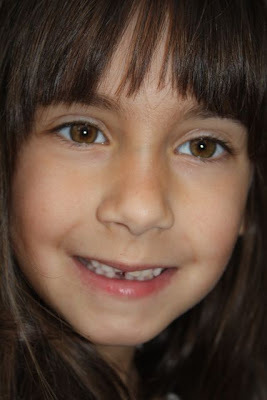 Isabella for the longest time had 4 teeth that were so super loose. Well, in a little over a week, all 4 have fallen out. Poor baby, she is having a hard time talking. There are so many pictures of me looking just like her! 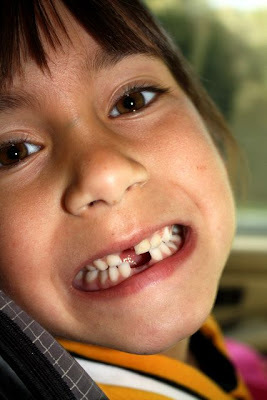 My mom used to laugh when I sang "All I Want for Christmas is My Two Front Teeth" because I need four! 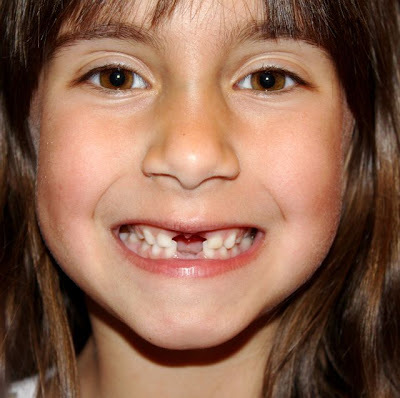 Not to mention the tooth fairy pays more than when we were little....simply adorable! !